I recently had to move out of student halls where I lived during my first year at university and in all honesty, my experience in them wasn't exactly a typical one. Of course, there was drama at times, and not everything was perfect. 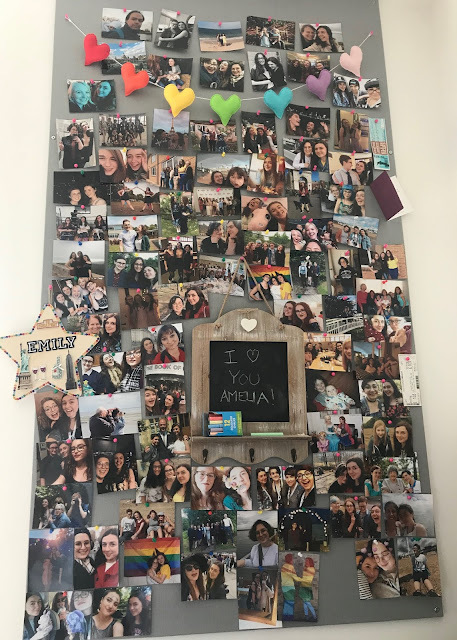 Overall though, I absolutely loved my flat and my room - choosing Aberystwyth University came with a bundle of perks in that respect. When visiting universities at open days, I came to an understanding on exactly how expensive it was going to be to live in student halls, and prepared to spend a certain amount of money. Aberystwyth was one of the last places I viewed, and the only Welsh uni out of that selection. To my amazement, everything was so much cheaper, and Fferm Penglais (where I ended up a year later) was the most luxurious student accommodation I'd ever seen. 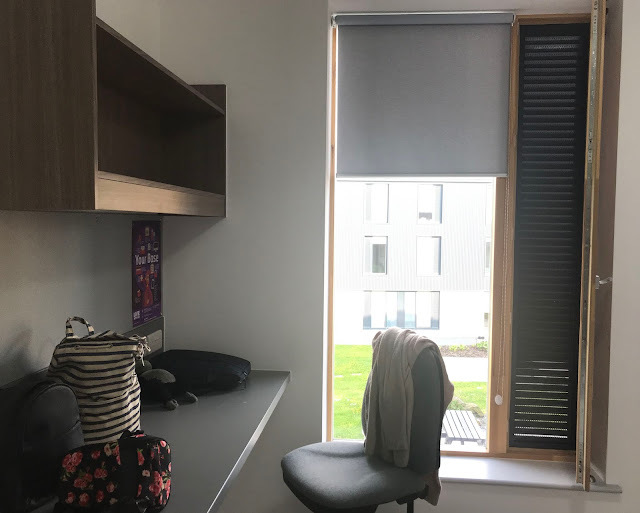 In each flat were identical big rooms with double beds, tons of storage space, spacious en-suites with double showers (like, what student gets the privilege of having their own double shower). In the communal area there was so much space, with enough seats and sofa space for every person as well as a TV on the wall - it was far greater than anything I'd witnessed at other universities and I was a bit taken aback by the idea of living somewhere so nice. Hence, when I did choose Aber and discovered that I could get all this for cheaper than I was already preparing to spend on a much more standard room elsewhere, I simply let myself indulge. 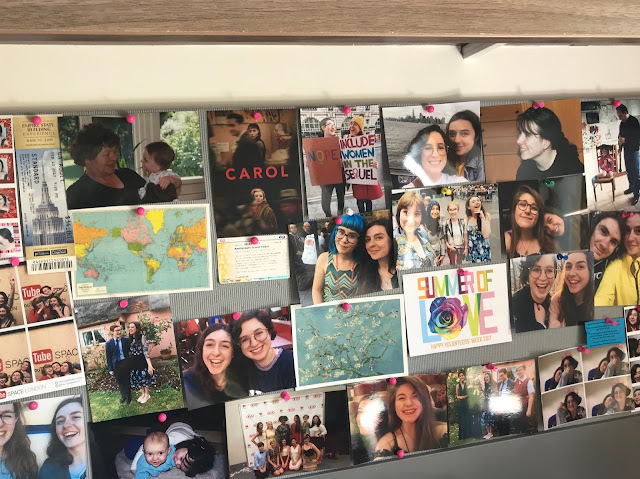 I know that for American students and most likely others, even the concept of having your own room at university is unheard of so I certainly appreciated every inch of my flat and my room. When I moved into Fferm, it became clear that I'd been blessed with flatmates who were lovely, and I also had barely any reason to complain about noise during my entire stay. My friend Eli visited me in November and I ended up apologising for a conversation that was happening outside my room at 2am; he was in awe because I clearly didn't understand how quiet my student halls were compared to the nightmare stories my friends had about their own experiences in their flats. It was occasionally noisy outside my room and there was one time when my flatmate's music woke me up earlier than I was happy with (luckily the fact that it was Disney made up for it), but I realise that this is literally nothing in the grand scheme of things. It was pretty incredible how lucky I was in having the opportunity to get a full night's sleep every night (if I was sensible enough to take advantage of this). Having a great flat with few disturbances was wonderful, but I don't think that's what made it so hard to walk away from Fferm Penglais. I grew so attached to my student halls and not because of everything in them, but because my flat held so much sentimental value to me. University was my first proper shot at living independently and my flat watched me laugh, make friends, cry, and attempt to make it on time to 9am workshops when I'd had 3 hours of sleep. My room in particular was my safe little corner in a world that sometimes terrified me; a place where I could call my girlfriend and block out everything else; a place where I could binge-watch Made in Chelsea whilst snacking, a place where I reminded myself that I was a real and capable human being who was doing a good job at existing. It's hard to walk away from a place you've bared your soul to and found so much comfort in, during a life transition you never knew if you'd reach or not. Places mean a lot to me, and Fferm Penglais has perhaps meant more to me than anywhere else so far. It really felt like mine and truly felt like home. It's strange to think that it's not actually mine anymore and that it's not covered in my photos, tickets and books - no old memories displayed in a place where new ones are soon to be made. My only complaint about my student halls could be that I was too spoilt and now nothing else is ever going to live up to these standards, but I'm so appreciative to have had somewhere to stay that I loved so much. Regardless of the size or the facilities, having a place where you feel at home is so, so special. I felt really fortunate to have felt that during my first year at uni, since I was so worried that I wouldn't. My flat was a safe space and it's strange to think that it's going to belong to someone else now. I left a single pink pin in one of the pin boards, said goodbye to the empty room and locked it for the last time. Flat C in Block 15 will now become someone else's room and I can only hope that they love it just as much as I did. It sounds like you had an amazing time! Leaving some place you call home is always bittersweet but I’m glad you were able to make memories that you will always remember!